Let me demonstrate what I mean. Coming up with a new idea is not easy. Sometimes it takes months and at least 200 bad ideas before you find “a nugget of a great idea”. This is when you know you tapped into a consumer insight and can help solve their issue or address a struggle, you know you found a great idea. Then, as the innovation team goes through the pipeline of trying to launch it, hurdles appear. Executives don’t like the idea, subjectively. They simply do not like it. Even though it is a result of a great research insight, they over-rule it and tweak it. We see the impact of HiPPO (highest paid person’s opinion). Nobody has the audacity to question the leadership and remind them that this is what their potential customer really wants and expects. In effect, we experience conformity. Result: the idea is revised so it’s “liked” by the executive team, and not necessarily consumers. Then, another team responsible for production says: “We’ve invested so much money in something completely different”. We cannot pivot now. Result: the innovation team is now on a slightly different path trying to retrofit their great idea into something that already exists and is able to come up with a prototype that is OK (not great!). This is the second error: taking into consideration sunk cost. It is typically not productive and may lead to a misguided outcome. Marginal thinking occurs when a company feels they have too much to lose to launch something risky, even though the market expressed its “readiness” for it. The new idea is tweaked again, for the third time. This time, it barely resembles the original idea. The overall internal enthusiasm is gone. Everyone has compromised, the ultimate product is mediocre, and now it launches. Oh, and it typically has less marketing support because the budget was cut. Result: The product fails and needs to be taken of the market within six months. – Are sunk costs weighing against the idea? – If there is internal push back: Is the team conforming, or do they protect the essence of the idea? – Is there too much to lose when launching this idea? 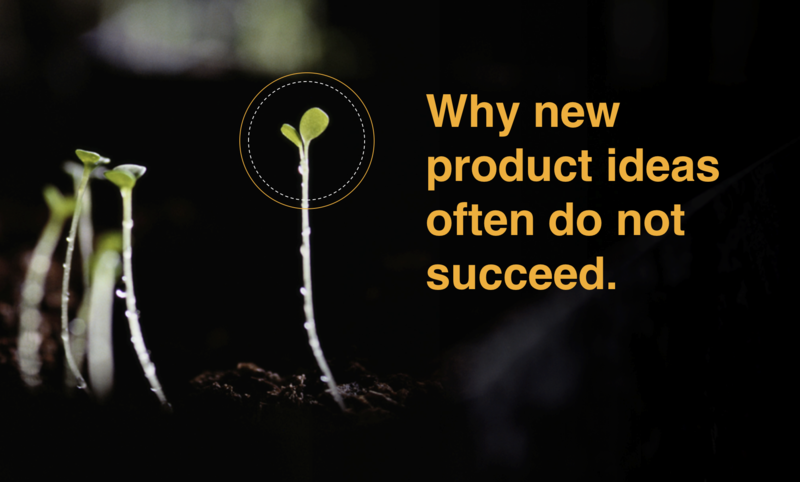 And then reframe the question: What if we do NOT launch this product and someone else does? The irony of having limited resources is that it can actually increase innovation so the hurdles above should not stop us. Therefore, reframing the idea in the new reality, while sticking with the original insight is crucial. I am not saying it is easy to follow a good decision-making process and effectively innovate. This means moving emotional factors aside, learning to deal with internal conflicts and priorities and putting yourself “on the line”. It takes courage, resourcefulness and conviction. The reward is great for those who are able to push through and get things done. The symptoms of experiencing ‘the trifecta’ is a failed product.